Flying Unicorns Oct Kit of the month is called Farmer's Market and Hayrides. This kit is going to fly off the shelf fast because it is amazing. You can see the kit here. 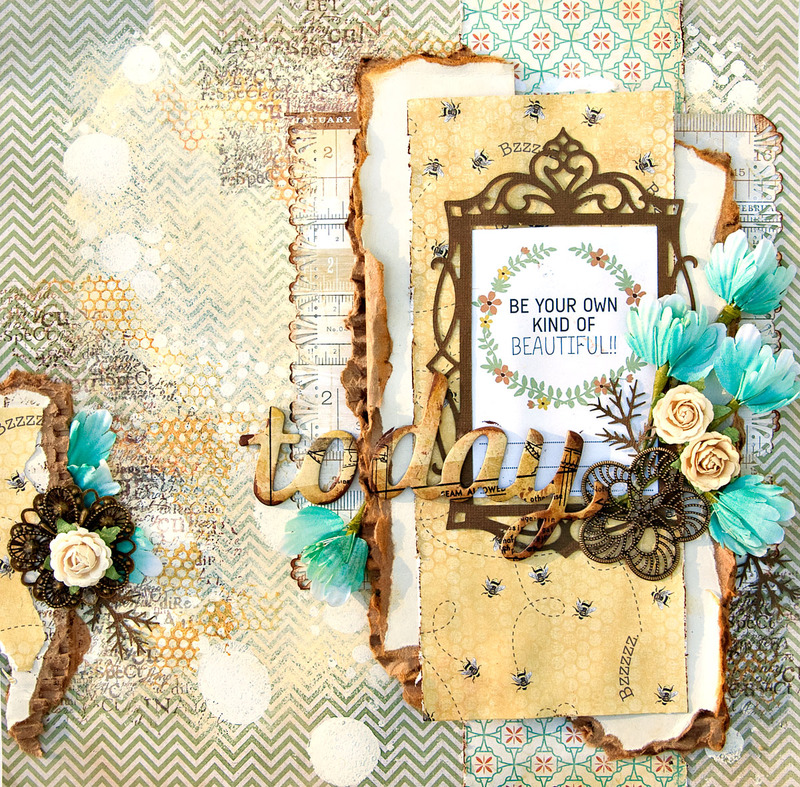 It has nice autumn tones from Cratepaper and Kaisercraft. 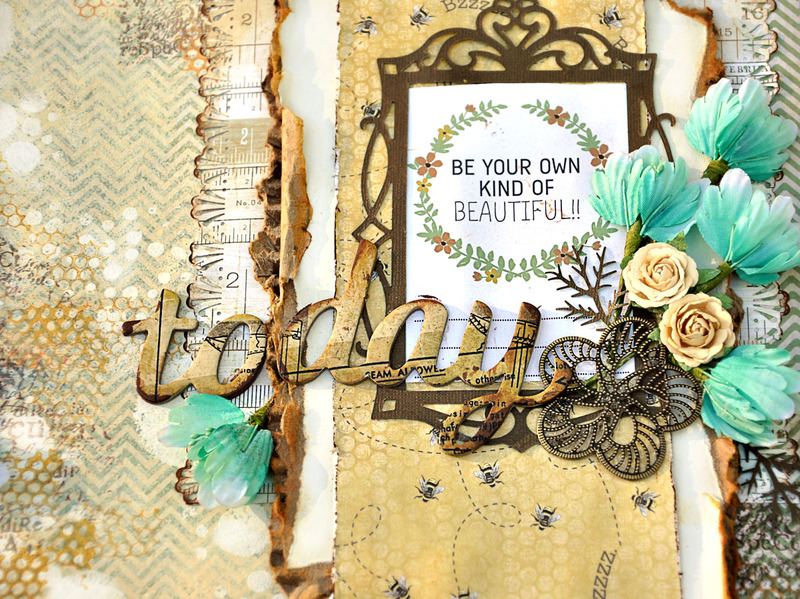 The Kaisercraft papers have a few sheets of journal cards that make excellent cards, tags or inspirational pieces. I opted to go "photo-less" and make the piece be more inspirational. 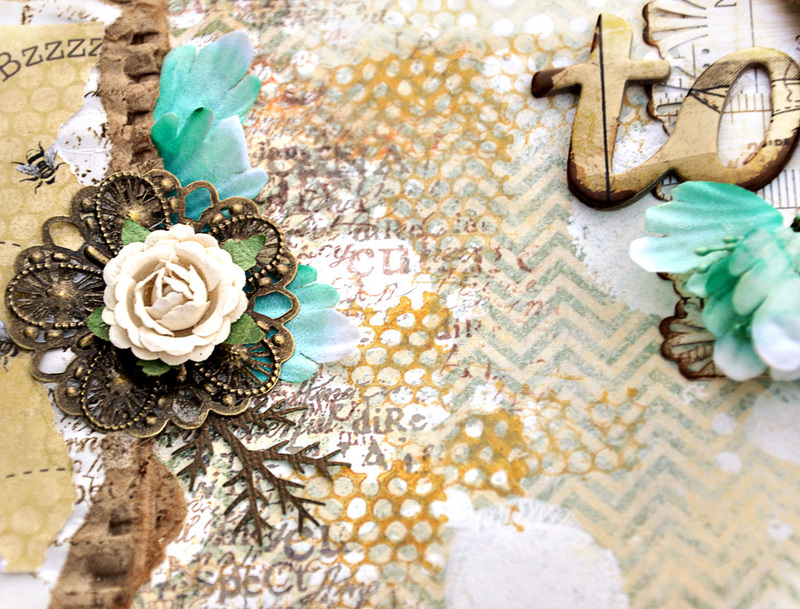 I used a few of the metal Adornments from the Flying Unicorns for accent. And cardboard - oh how I love cardboard. Thanks for stopping here. The kit is now available at the Flying Unicorns. Come try some challenges at the Flying Unicorn. There are no kit requirements and no obligations to purchase in order to play in the challenges and be eligible to win a prize. This is stunning!!! Absolutely love the colors and Your background work!